Heavy-duty 6" rubber-tired wheels - Get Our Deal!" 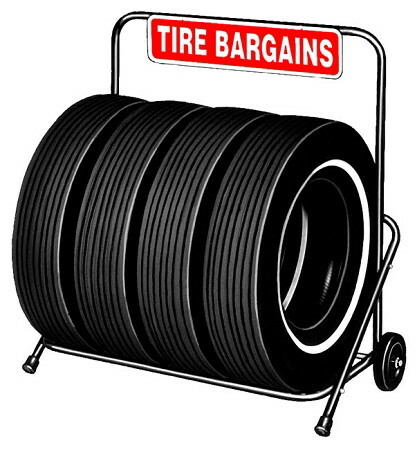 or "TIRE BARGAINS" signs available in stock. Custom brand or logo signs available, contact us for quote.